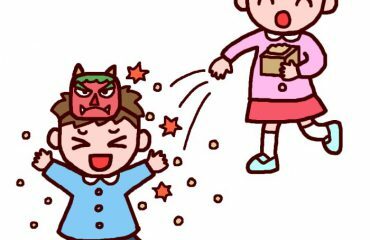 Shichi Fukujin are the Seven Gods of Luck and Good Fortune in Japan. Each one of them symbolizes a virtue: Honesty, Fortune, Dignity. Amiability, Longevity, Happiness and Wisdom. They were chosen from Hinduist, Buddhist, Taoist and Shintoist gods or saints, and settled into Japanese Folklore Gods, believed to have been grouped together around 17th century. 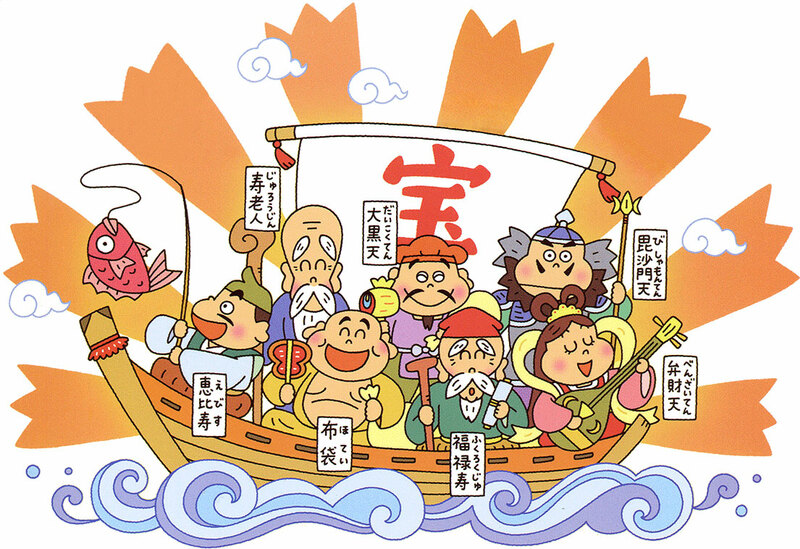 Also known as Yebisu, he is the God of Fishing, Shipping and Commerce and is the only one to have his origins in Japan. Ebisu is very popular among the people who works in the food industry (farmers and sailors) as is commonly presented wearing formal court clothes or hunting robes. He is often presented with a fishing rod in his right hand and a large red sea bream under his left arm. The virtue he represents is Honesty. Originally, he was a Hindu warrior deity named Mahākāla and once introduced in Japan he became the God of Wealth and Prosperity. He is well known for his happy-looking smile and is often presented with a bag on this shoulder filled with money and a magic mallet standing on two bales of rice. The virtue he represents is Fortune. 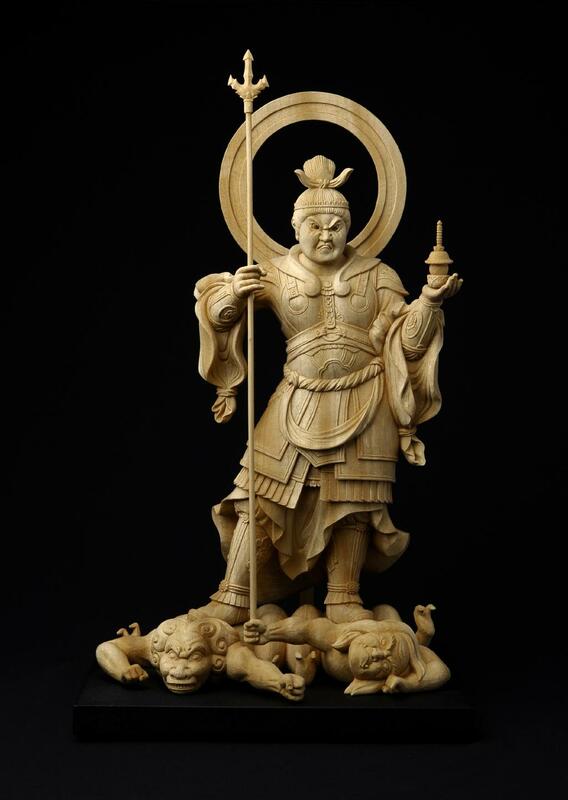 Also originally from Indian Buddhism, Bishamonten is the God of Warriors (not war) He is also a God of Defense Against Evil. Almost always dressed in armor with a fierce look and standing over one or two demons symbolizing the defeat of evil. In one hand he has a weapon to fight against evil influences and suppress the enemies. On the other hand he holds a treasure pagoda or stupa, which is his main identifying attribute. The virtue he represents is Dignity. The only female of the Shichi Fukujin is Benzaiten (a.k.a Benten) and is originally the Hindu goddess of water. 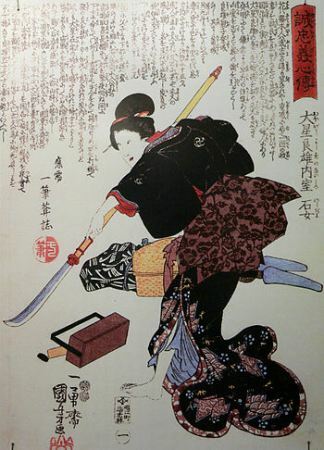 In its japanese representation, she is the Goddess of Arts and Knowledge. 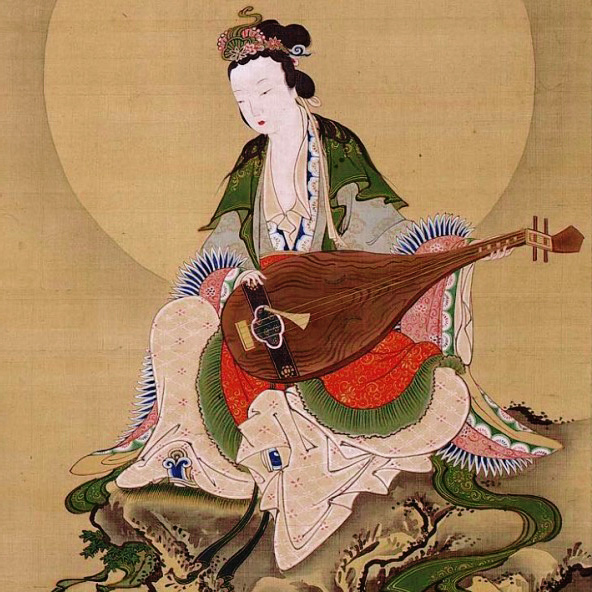 Her common form is a beautiful woman dressed in a flowing Chinese-style dress and playing the biwa, sometimes the flute. The virtue she represents is Joy. 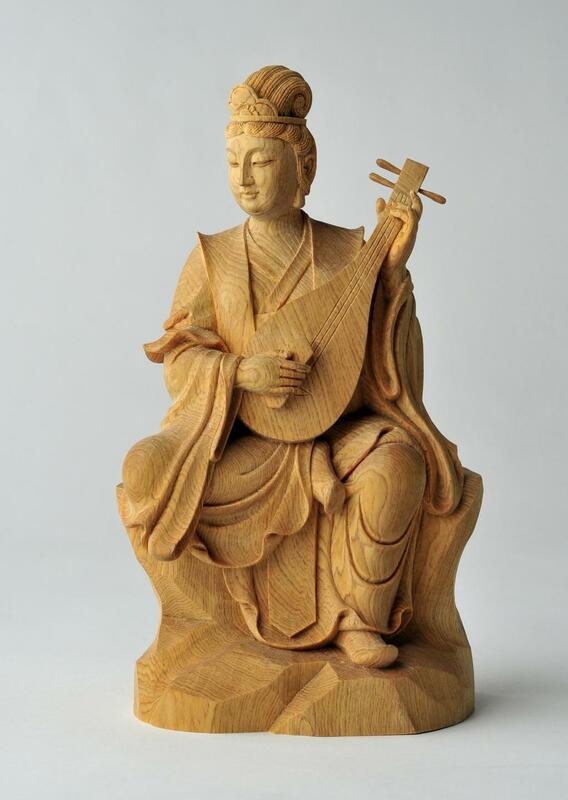 Brought from China’s Taoist-Buddhist traditions, Fukurokuju is the God of Wealth, Happiness, and Longevity. 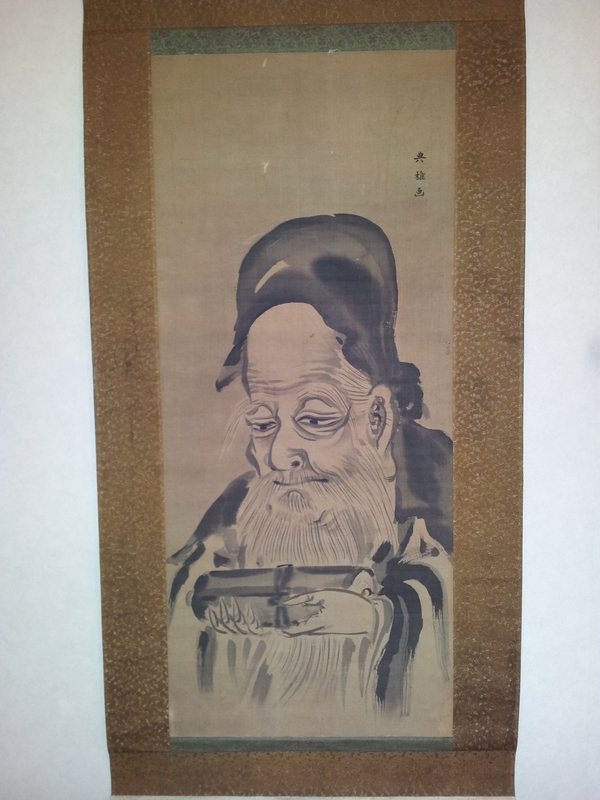 Represented with an elongated forehead and long moustache, he is usually represented with customary clothes of a chinese scholar, holding a walking stick with a scroll tied to it. He is the only one from the seven that has the ability to revive the dead. The virtue he represents is Longevity. 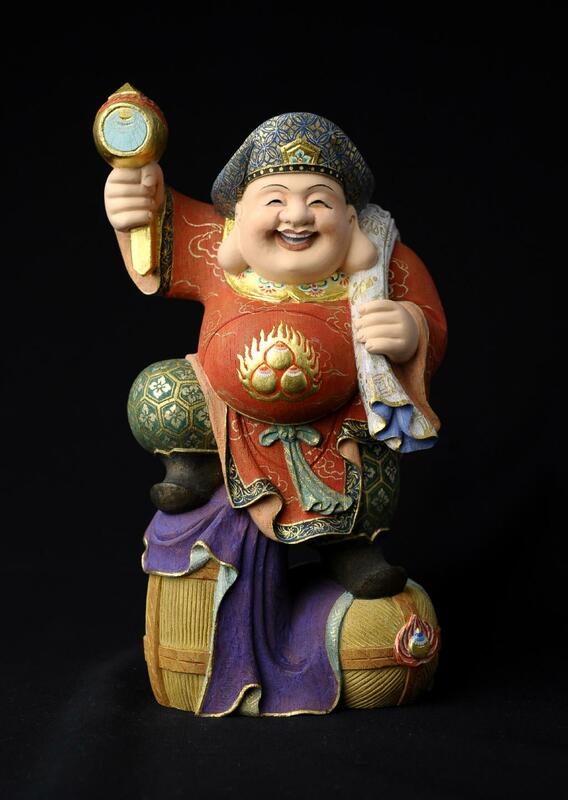 From chinese beliefs, Hotei (a.k.a Budai) is the God of Happiness and Abundance. 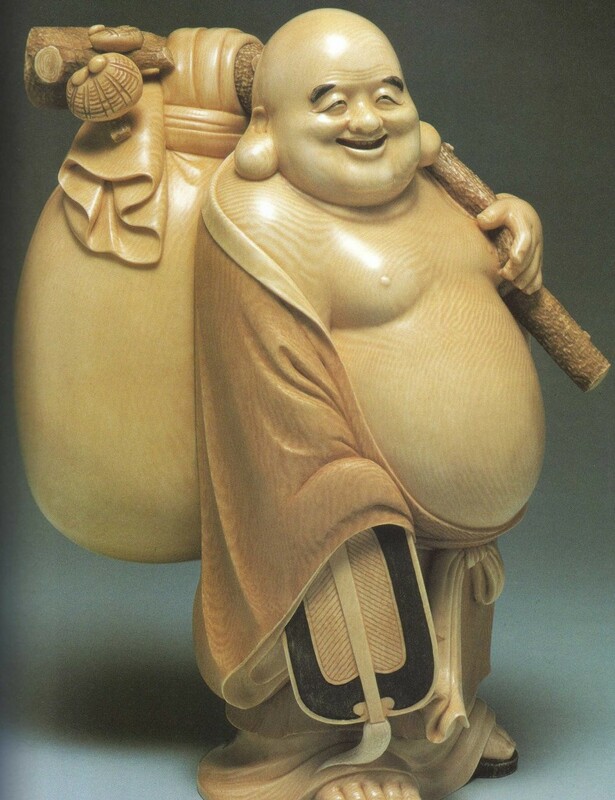 He is supposedly based on an actual person, a Chinese hermit Budaishi (d. 917) He is represented as a Buddhist monk with a smiling face and a prominent belly, holding a sack and a wooden staff, usually seated or sleeping in his bag. Outside Japan, he is known as “Laughing Buddha”. The virtue he represents is Happiness. 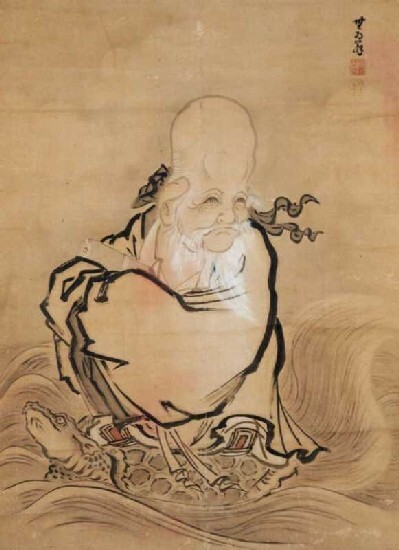 He is the God of Wisdom and is commonly presented as an old man wearing a hat with a long white beard holding a knobbled walking staff with a scroll tied to it. He is often confused with Fukurokuju, as both are presented in a very similar way, though in Jurōjin a black deer always accompanies him as a messenger and as symbol of longevity. The virtue he represents is Wisdom. 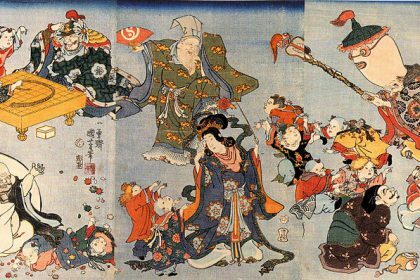 Anime version of the Seven Gods where Jurōjin is wearing his Hat of Invisiblity and the Scroll of Wisdom, Benzaiten her Robe of Feathers, Daikokuten holds his Magic Mallet, Hotei carrying his Bag of Fortune, Bishamonten holds the Money Bag and Fukurokuju has the Scrolls of Longevity. 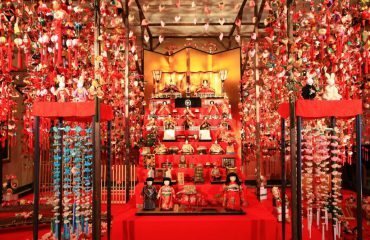 Throughout Japan, there are many shrines dedicated to all Seven Gods or to each one of them. These shrines were built for people to receive the favours of the gods. Pilgrimages started as a consequence and until today there are routes that you can follow to visit these shrines, especially at the beginning of the year. A good souvenir from Japan would be a figurine from any of the Shichi Fukujin, there are even straps of netsuke to attach to you cell phone, your school bag, etc. I have 7 carved happy gods. Can I send you a photo?